Is he the most brilliant man ever? This series of blogs is intended to give you as simple as possible understanding of the actual universe we live in which surprisingly does not have 3 spatial dimensions and a time dimension. In fact the universe we live in called Twistor Space is 5 dimensional and there is no time dimension. In Twistor space rays of light are points and things we see as points in space-time are rays in Twistor space. Our mind creates a radically different view of reality because the purpose of a brain is to predict things so that the living thing with the brain can survive not to give the most accurate view of reality. Let’s talk about what Physics tells us is real. These are not the normal things we might think are fundamental characteristics of nature, such as mass, time, space or as was thought for some time the fundamental elements of chemistry such as Hydrogen, … Surprisingly, things like protons, neutrons aren’t fundamental things either. Each of these properties is conserved. Each of these fundamental things is quantized and not continuous in value. They can NEVER be lost or gained. They exist now and forever which also means when the universe was brought into existence or evolved or whatever it had to have all the Baryons, Leptons and other conserved quantities it ever would have. Anti-particles makes it easier for that to happen because as long as the same amount of anti-baryon and baryon was created initially there was net zero baryon created. We don’t have any conception of what “baryon-ness” is but it is apparently very fundamental characteristic that defines all kinds of things about our world. I can’t say this food tastes like it has a lot of baryon in it. 🙂 What would a very Lepton bearing food taste like? It makes you think. What are the fundamental things in nature? Just as interesting is what is NOT conserved. Mass, for instance, we all know from the famous Einstein formula E = Mc^2. Space and time are not conserved. There is nothing in the laws of physics or experiments that seems to require that these quantities be conserved in any interaction. They can shrink, expand, be used or change into other things in defined ways. In fact, nothing we can perceive with our eyes and ears, etc is actually fundamental in the sense you are touching something that is truly the base of reality EXCEPT light. Photons are not composed of anything else but photons do play a trick on us. Photons don’t travel in time. So, the little bit of reality that you thought you could hang on to is not that easy to hang on to. This all may seem shocking. In fact, most of space is empty even when we think it is full. When we touch something it is more the electromagnetic fields we are responding to, not the underlying baryon characteristic. So, in a sense all I’ve been saying that the universe is not what it seems to our perceptions is true at this level of the matter we interact with. Constants in some sense define our reality. There are 6 or so fundamental constants that every other constant we know about derives from. With these constants, the fundamental stuff I just mentioned and the formulas for physics we have our universe. The speed of light is constant. However, because the speed of light is a ratio of space and time if these things change the speed of light could remain constant but these other things change arbitrarily in proportion so the speed of light simply is a characteristic of the ratio of the time and distance dimensions. This is true of all the constants. They represent some ratio of fundamental things and therefore fixed exchange rate of one thing with another. In the real world exchange rates change with time but these constants are thought NOT to vary with time or place. We have tested this and to the extent we can see in this universe it appears the constants are fixed and have been for billions of years and over billions of light years. If these constants vary they do so out of our current perceptual reach. What if we say this ratio (speed of light) is 1 by choosing the units of time and space so that the ratio is 1. We can do this. Physicists prefer this way of thinking about the constants. When you set c=1 and reduce all the other ratio constants to 1 physics gets simpler and more beautiful. Physicists call these the fundamental units. It is more grounded to use these units to understand the root things in nature than to have arbitrary constants which simply reflect our macroscopic view of reality. It would be kind of ludicrous possibly to go around and talk of this car is 10 to the 45 planck units long or the speed limit on the highway is 10 ^ 92 planck units of distance per plank time. Sounds crazy fast! When you eliminate the constants by changing the units in the equations of physics to 1 for instance then E = MC^2 becomes simply E = M. E = γ (frequency) or 1 / λ (Wavelength). Suddenly many equations in physics which seem complicated or obscure reveal an underlying simplicity and truth. Energy is mass exactly. The reason c is c (the speed of light) is now clear. It is not only the ratio of our space and time units but it is a ratio of Energy units and mass units we use. Ahah we learned something. Apparently the universe is constructed so those ratios are the same. There is nothing intrinsic in the value of c other than the relation of energy and mass, space and time we measure. The more fundamental thing is not the speed of light but this ratio. How much of the property m is equal to a certain amount of energy. We know mass is a property of some particles which in the presence of the Higgs field produces what we see as inertia or produces force. Mass is thus simply a property of particles however, that quantity varies depending on our relativistic speed of that particle or object. As things go faster they appear to have more M. Really what is happening is that the relativistic momentum is increasing and that IS a conserved quantity, not the mass. To increase the relativistic or decrease the relativistic momentum of something I have to make a compensating change in something else. The ratio of the force created by a certain amount of mass resisting movement in the Higgs field therefore defines c, therefore as we keep looking we find it is the Higgs field which defines c. However, how do we measure the Higgs field? It is also just a constant multiplier that can be reduced to 1. What exactly is the thing that defines the Higgs field strength, the amount of mass / energy conversion ratio and has to do with momentum? There are fundamentally some number of underlying relations in the universe that define everything else. The more we figure out the true nature of our universe we may find this number of unique things “constants” that the universe is defined by is reduced. We hope that eventually this number goes to zero, meaning that the universe has no artbitrary constants that could be picked by random luck or by a “creator”. In my mind removing the “creator” is not a matter of some aesthetic or personal view. In my mind any creator would also be in a universe of some sort and there must be laws governing that universe. Therefore, if the creator is some ultimate zero point entity that defines everything it becomes a conundrum because what defines the creator? Another creator? Maybe I’m looking at it wrongly. For now we have NOT reduced this number to zero. So, there are 2 ways we have uncertainty in the constants. One is that we don’t fully understand the relationship of all the quantities in nature to each other so that when we figure that out we may be able to say this constant is simply some other ratio or combination of other constants and isn’t independent value which reduces the number of constanrs. There is also the possibility of completely unknown physics as is the case for the ratio of dark energy to regular matter. We didn’t even know dark energy existed more than a dozen years ago. Martin Rees has determined the number of fundamental constants is 6. 6 fundamental constants underlying everything that must be “picked” or measured that exist for unknown reasons. One of these is “dimensionality,” is in hot dispute. Remarkably, one of the things we would have a really good handle on is the number of dimensions we live in. It should make you think hard about what is our true understanding of nature if this number is in dispute and we could have from 3 (including space and time – the holographic universe) to 12 or more(String Theory). The major theories vary between 3,4,5,6,11,12 dimensions (including time). Some don’t have a time dimension. Even more perplexing, in Penrose’s Twistor geometry 2 of the dimensions are complex. I’m not talking about complex as in difficult. I mean complex in the sense of the mathematical square root of -1. It turns out that the way to represent the math of spinning objects in our physics happens to work by representing the spinning particle with complex numbers. However, the question that isn’t answered is whether reality is spinning and the complex numbers is a convenient way to do the math or spinning is simply a convenient way to think about the reality of a complex dimension. The two concepts appear to be what mathematicians call “isomorphic.” This means that they are the same thing and you can operate on either or think about either equivalently in all ways. When physicists find such “isomorphisms” it is very powerful and wonderful. The reason is that each way of looking at things provides different insight and in many cases different ways of solving the same problems. Frequently one of the ways is much simpler than the other. So, for instance in String theory there were originally 3 different theories of how strings could work. This was bad and much effort was made to prove each of them wrong. Suddenly it was found that all 3 were really different ways of looking at the same theory. They were proven to be isomorphic. This was really good because some things were easier to calculate in one string theory rather than another and some things were obvious in one string theory than another. The fact they were all the same meant anything calculated one way was true for all of them and what was impossible was impossible for all of them. So, having 2 ways to think about complex numbers for spin is really good especially because one is very graphical and helps visualize what’s happening and the other provides well known mathematics for solving problems. (You can compute 99 * 99 the hard way by multiplying digit by digit as we were taught or you can do (100-1)^2 = 10,000 -200 + 1 = 9801 which is much simpler. When we started working the math for quantum mechanics it became apparent to Schroedinger and Bohr that the solutions required the use of complex numbers not just as a math trick to solve problems but the result of our computation for the amplitude of a wave for a particle was a complex number. The complex numbers were an essential part of quantum mechanics again. Nobody ascribed any meaning to this complex number. All physicists did when we did an experiment was have to multiply the complex result of the Schroedinger equation by its complex conjugate and the result was the probability of the particle being found. Scientists don’t ascribe any reality to the complex numbers however, the complex number is the more fundamental thing in quantum mechanics, not the probability. You add or multiply the complex numbers of different particles wave-functions to compute the probability of things depending on the type of interaction and situation you are in. Complex numbers work because the probability seems to vary like a wave or object that has wavelike spinning qualities. So, again we are confronted with complex numbers being at the center. We are starting to see like how constants were related to each other there is a repetitive characteristic of reality that you can think of as a spinning or vibration of everything, All particles have a spinning characteristic. Probabilities, energy, particles themselves seem to have these wavelike spinning characteristics. We think of an object like a baseball spinning but from a purely mathematical point of view it is simply a time varying quantity we measure that oscillates between two values. If you ever looked into string theory you know that this fundamental unifying concept of reality is based on the notion that everything is a vibrating “string” in n-dimensions (m-theory). The magnitude of the vibration determines the amount of energy and the size of the string. Based on the size of any string there are only a certain set of frequencies that will result in a stable pattern. These vibrational frequencies are limited to having whole numbers of oscillations along the length of the string. Thus, for 2 dimensions you can have a stable pattern of one entire up and down vibration, two whole ups and downs, etc. Anything other than these fixed whole numbers would result in the vibration not ending precisely at the same point each time along the string and therefore over time the string would just become noise or a jumble of what appear to be random motions. In string theory there are many dimensions because each dimension in some sense represents some aspect of reality, you can think of the fundamental qualities we talked about earlier. Strings posit there is ONLY strings so the quality of things is determined by the vibrational pattern of the string in n-dimensions. Having a vibration in one pattern means having Baryon 1 and vibrating opposite would be -1. When 2 strings have a baryon +1 and -1 meet the two stable strings would annihilate each other producing zero vibration. Neat. The strings are attached to endpoints in some cases which represent the maximum limit in that dimension. Most of the dimensions of string theory are infinitessimal in size and unobservable but the vibration patterns in those dimensions constrain the type of stable vibrational patterns you can have. Imagine trying to create a stable vibrational patterm out of 6-space? It would seem that the patterns would interfere with each other and there would be very few stable patterns but such shapes have been studied in mathematics and are called Calabi–Yau shapes (mathematicians use the term manifolds for shapes). There are a very large infinite number of stable vibrational patterns. It is presumed in string theory that these Calabi-Yau shapes are the 100+ particles we have identified and some have been mapped 1 : 1 to existing particles. You can imagine that some vibrational patterns aren’t that stable and that they decay. Many particles we see in nature have very short lifetimes. They seem to have very fragile vibrations. The more massive energetic particles seem to be particularly like this. In “raw” empty space you might see a jumble of incoherent vibrations and therefore no discernible particles. (we call the vacuum.) Occasionally some jumbling vibration might randomly hit a “chord” and suddenly a particle emerges. Maybe this is what happens with virtual particles. These vibrations are happening in all dimensions and in all characteristics so that occasionally a particle of any type could emerge with any characteristics. Normally the jumbling of other incoherent strings nearby would eventually disrupt the string that popped out and cause it to become incoherent again. (It would disappear.) However, if a stable string was moving through the space and it interacted with the jumbling vibrating strings it might create a new stable vibrational pattern. It may not need an “stable vibrating string” to appear from the jumble to interact with another stable string. Possible the interaction of the coherent stable particle with all the other jumbling incoherent string occasionally causes a disruption in the stable pattern to a new stable pattern. Then we would not need for any virtual particles to be “real” to cause what we see in the quantum foam. I want to emphasize the musings about unstable strings is my thought. They are not based on any physicists comments but are logical conclusions of the theory. Some physicist may have discounted this way of thinking about String theory or quantum mechanics but it is a way to think about all of these concepts presenting in the second blog of this series on conundrums in physics. Whether or not strings interact in this way it is helpful to visualize the universe to think of how string theory is kind of like what we observe with quantum mechanics and there may be different rules or reasons why some of this happens but basically it gives you the general idea of how vibrational, oscillating, twisting, spinning patterns could be the underlying nature. One problem with String theory has been that the number of Calabi-Yau shapes is very large but we don’t see as many “particle” types. One idea I have wondered is possibly many of these Calabi-Yau shapes degrade incredibly fast which means maybe all Calabi-Yau shapes are true particles but only the ones we have seen are the ones that are stable for long enough for us to see them. The question then becomes to figure out what makes the stable patterns fall apart. That may result in understanding what subset of Calabi-Yau shapes become particles we see. I have not asked a physicist this question so I don’t know if they’ve thought about this yet. Nonetheless String theory has a tremendous synergy with how nature appears to be structured as wavelike, spinning, vibrating things. Maybe we just haven’t found the right way exactly to think about this but something like String theory seems viable. The fact that String theory and Penrose Twistor theory are being joined means that we may be on the right track because each explains a lot of what appears to be more fundamental characteristics of our reality. Twistor theory has only 5 dimensions but it is possible that other dimensions exist that are infinitesimal like string theory and that somehow combining with Twistor theory will eventually constrain the stable Calabi-Yau shapes. Why multiply complex conjugates to get the probability? So, jumping ahead a little I will explain that in Penrose Twistor space when two particles have mass and a gravitational wave passes through the spinning particles it causes the amplitudes of the particles to multiply by their complex conjugates. This is very interesting because it could explain why we multiple the complex conjugates to get the probability which physics otherwise can’t explain. The math Twistor space is such that a gravitational event produces decoherence and in effect what we call consciousness. Using Spinors and Twistors is resulting in a lot of coincidental physics we see that explains perplexing unknown reasons for things. Why do we multiply by the complex conjugate to get the probability? Because that is the math that happens when gravity interacts with Twistors. In physics this is not a proof of anything. Until we have experimental data that is predicted by Twistor theory we can’t say such explanations or coincidences are proof. You can see that gravity in Twistor space is integral part of the theory combined with quantum theory. Previously in physics these two theories never met. Gravity was about things of the Earth size 10 ^ 20 times bigger than the typical Spinor particle size. We talked earlier how physics works at the scale of 10 ^ 75 or 10 ^ 1 and here is an example. Gravity acts at this micro level because the masses are large compared to their distances of separation. 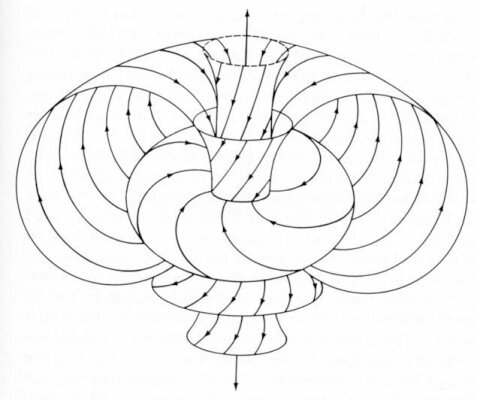 Roger invented Twistor theory as a complement to Spinor Theory around 1970. Initial progress after Roger’s invention of these mathematics was slow. He then invented these tools called Twistor diagrams to help do calculations which later turn to be incredibly useful. However, as cool as Twistor theory was it didn’t generate much interest until 2003 more than 30 years later when Edward Witten from String Theory fame discovered a relation between String Theory and Twistor theory. Among other things Edward Witten discovered that you could put strings into a twistor universe and it worked. Soon after that Andrew Hodges and other people discovered a beautiful connection between Twistor Diagrams and Quantum mechanics resulting in the discovery of the Amplituhedron in 2010 which has caused an exponential jump in our ability to calculate quantum particle interaction results. For this alone Twistor theory became in indispensable tool in the physicists arsenal. With it you could calculate things that before had been intractable. In 2011 people started talking about the Twistor Revolution. In 2013 gravitation physicists started finding the connection of Twistor theory and quantized gravity. Twistor theory seems to have united physics from particle physics to quantum physics, string theory to Gravitational theory. It is producing remarkable achievements in all these fields simplifying and solving thorny problems explaining completely mystifying things. As you can see this is all very recent. Witten’s discovery was just over 10 years ago and most of the other advances are in the last 3 years. We are seeing a jump, a disruption in physics. I am explaining something that really has not hit the public eye yet. So what is Twistor space? In Twistor geometry there are 2 real dimensions, 2 complex dimensions and another dimension = 5 total. This is one more than the 4 we think of in our Minkowski space of X,Y,Z and Time. The 5 twistor dimensions are not at all like the space time we are used to. In other words there is no “X” coordinate or surprisingly no T (Time) dimension. We say they are emergent. They are in there but not as dimensions. In Twistor geometry X, Y and Z and T are calculated from TWISTOR space in a way that whole lines in regular Minkowski space like a light ray become a point in TWISTOR space. The entire path of a light ray in what we see as Minkowski space as a brilliant laser light shining along a line in space for instance would be nothing more than a point in Twistor space. One obvious question is why do we “see” a line, “see” something that occupies multiple points in space it seems when in fact it is only a single point in Twistor space? Well, first we never see a single photon of light anyway. We see a collection of photons that are interacting with air and dust particles composed of billions of particles each. So, we don’t see Twistor space. We see at our level the interactions of a billion billion particles. That’s one answer. Even if we go to the microscope and look we don’t see a ray of a photon. We see a measurement we take which identifies a particular point the photon occupied. We never see it actually move, like the Zeno paradox the light particle we presume moves but whenever we take a picture, i.e. a measurement it decoheres and we see a specific point. We visually think of it is as a ray of light. We draw it’s motion as a ray but we never see it as a ray. All we see are points when we observe it. What the light particle is actually doing when we aren’t observing it we don’t have anyway of really knowing. Our brains fill in the motion and make it look continuous. From the point of view of the light particle it is in all places simultaneously it will ever be. This is because for the light particle time is not moving. It exists at a particular moment in time and that is it. Remember that because a light particle is going at the speed of light time has shrunk to zero speed. It’s not moving in time. Also, space has been compressed to a point. Yet we see it as a moving thing in time and space. This is very hard to imagine using Minkowski space and literally makes no sense. I have thought about this and thought about this and tried to understand what does it mean. The light particles appear to be a point fixed in space and time. Our perspective as traveling observers lets us see portions of the light wave in different places but it really exists in a number of places simultaneously in our Minkoski space because of how we perceive it. Photons and other particles moving at the speed of light are actually motionless and are like the girders of our universe sitting there forever locked in one place and time for everything else to move around. So, Twistor space says a light ray is a point. Well, it is. It must be. We only see it as moving because that is what the Minkowski projection our eyes and brain make of it. Let’s look at some other “mappings” in Twistor space to Minkowski space. Lines are important constructs in Twistor space. Intersections of lines are where interactions happen. A line in Twistor space becomes a point in Minkowski space. How can a point be a line again the other way too? “Decoherence” correspond to intersections of lines in Twistor space. If you think about this it is very profound. We only perceive reality when we “measure, i.e. observe.” something. 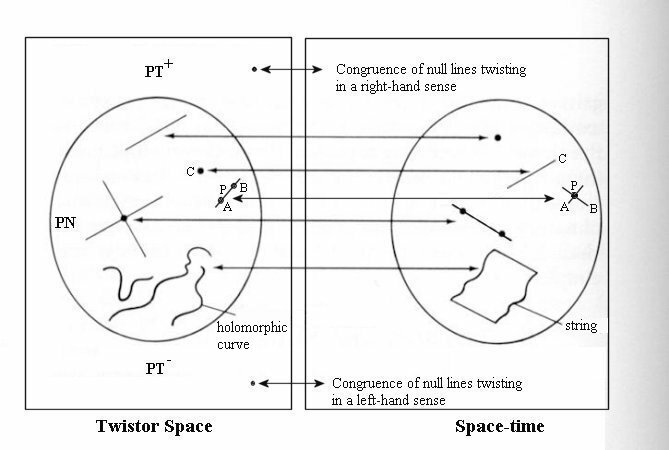 We think we are observing constantly but in fact we only can observe at the intersections of lines in Twistor space. Our consciousness or reality, our vision, hearing consists of sequences of these points in Twistor space. Between the points of intersection there is no reality. It is non-existent. We found that the “time” between points of intersection in Twistor space have logical impossibilities. Moving from one intersection to another while perceiving Minkowski space leads to bizarre non-causal things, i.e. trying to understand the path of a particle between the points we observe it leads to thoughts that particles need to know things that are unknowable in the future. When you look at the idea that particles are really traveling along x, y, z dimensions in a t timespace linearly leads to impossibilities. This is the fundamental problem with the Minkowski view. We had this experiment I referred to in the first blog on this topic. This experiment done recently showed conclusively that in order to calculate what the result of the experiment would be the particle would need to know in advance what the result of a random calculation done on a computer would be in the future. This is real scientific result seen in millions of measured results. It happens. It seems clear that you can only use the starting point and everything that happens (all the lines coming together) at the other point of observation which happens to correspond to when we make the second measurement. There is no in-between state where the particles are in some fuzzy state. Instead all we can do is compute the result of a series of lines coming together at the convergence because the convergence is where another event of reality happens. Reality “jumps” between the convergence points and between the convergence points there is no reality because it is logically impossible to construct a Minkowski type reality for any inbetween state. The time axis cannot be a fundamental feature of the universe because there are non-causal events along such an axis. We can only compute what happens from point A to point B in Twistor space where there is an intersection. From calculating the “results” of each point in Twistor space we can then calculate back and do a mapping from that Twistor space to Minkowski space. We can then compute what time(s) and position(s) to expect results if you looked at it with a Minkowski television. However, be prepared. When you do the mapping and show what happened on the Minkowski TV you will see bizarre things like non-local things happening. You will see people stretching their arms at 1,000,000 times the speed of light. You will see people shrinking to a dot in a femtosecond or exploding to a galaxy in the same time. The fact those don’t map to our linear conception of X,Y,Z,T is simply an artifact of our brains filling in the wrong information. We can understand the measurement problem now much better. When we “measure” things corresponds to the intersections in Twistor space of the lines corresponding to what we think of as particles. 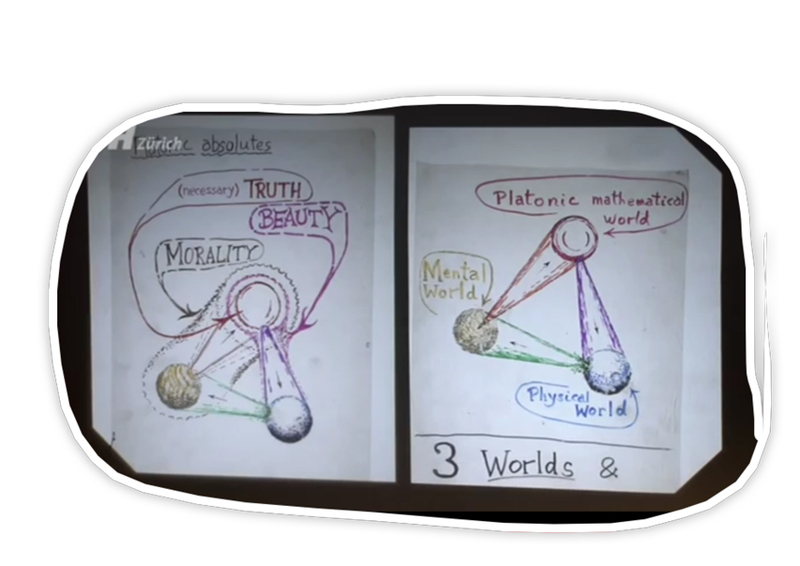 The intersections are the only “reality” in that these are the points where reality is observable. We are talking about discrete time, discrete universe that jumps between intersection points. To compute what happens from one point to another we use the Schroedinger equation or other approaches such as Feynman diagrams, Twistor Diagrams or the new Amplituhedron. perceive reality as a series of points of “measurement.” The fact that we discovered in quantum experiments that our perception caused things to act differently is simply an artifact that we only perceive the intersections of lines in Twistor space. When reality seemed to be “acting different” when we observed it was simply a natural consequence that we can only observe the intersections. Everything that happens between intersections is simply the way things happen between intersections but no reality exists between those intersections. So, any information that comes together between the two intersections regardless of when we think it happened in our T dimension is irrelevant. T dimension doesn’t exist. Twistor space takes the lines merging on a point as the “observation” and when that happens in time is calculated. It may happen tomorrow, yesterday and it may happen in multiple places in our X,Y,Z dimensions too, i.e. non-local entanglement. In Twistor space there are not the same confusing things happening. These things look surprising because we are looking at the made-up Minkowski TV and it is showing us stretching limbs and bodies splitting and heads in two places because our brains are perceiving reality wrongly. We are trying to come up with physics for how heads can appear in two places, how bodies are splitting and jumping at impossible speeds because we are looking at the “mapped” version of reality our brains have constructed, the edited version. Reality or conscious possibilities occur at points in Twistor space where lines intersect. Other points our brains make up to fill in the blind spots. In Twistor space the points where lines come together corresponds to the instant we are able to perceive reality. In that instant, things have specific times, sizes, places. The world is real. In-between the intersections there is no reality, so perception. You have to get to an intersection to “see” things. The “fuzzy” state we call quantum coherence is simply between the intersections. In Twistor theory what we do is compute the transition from one point to another along the lines. These calculations produce the measurements we see at each point. What should start to become clearer is that these points in Twistor space when mapped to Minkowski space give us our space and time dimension values. They emerge after we calculate the interaction in Twistor space we can see what it looks like if you use a Minkowski TV but that TV is a distortion, a mapping from the underlying reality. Space and Time emerge from Twistor theory as calculations. We needed this as unsettling as it is because it has become clear that it’s impossible for Minkowski space to be real. We must be perceiving a mapping of reality. Consciousness is the perception of Twistor interactions. Gravity is one of the glues that causes Twistors to interact and if the Twistors are aligned by gravity and the mass of the Twistors into a “space”. Gravity helps to form the structure of the universe and bring Twistors into coherence helping to form the universe and create the interactions we see. So, Twistor space is point-like, i.e. points are where lines converge. Lines are particles and points are light rays. Sort of the inverse of what we think of reality at our macro dimensions. Don’t give up. This will become clearer. The point-like character of TWISTOR space means that to get from point A to point B you perform a “calculation” the result places you at a different point adjacent to the point you were at. If 2 particles interact it is represented in Twistor space by an intersection, where two lines intersect is an “interaction” or “measurement.” Between interactions there is no reality. Twistor space is therefore not tied to space and time the way our reality seems to be to us. Time and space emerge from calculations mapping the Twistor space back to Minkowski space. One can think of the lines as particles hidden in some alternative reality that pop out when an intersection occurs or you can think of the lines as simply the next state as in a finite state automata as in a Turing machine. Interactions lead to interactions lead to interactions each calculable with a probability of options to the next set branching out to all the possibilities. Our perception is simply the collection of interactions we observe. Quantum mechanics has a rule that the sum of all the possible things that can happen must add up to 1, not 1.4 or 2 or 0.5. One of the possibilities must happen, not 2 of them or half the time nothing happens. In quantum mechanics this rule is simply assumed. There is no apriori reason to assume 2 things couldn’t happen. Like multiplying complex conjugates to get the probability there is no obvious reason WHY only one thing can happen or not. After all, lots of bizarre things happen in the experiments we do in quantum world. However, when you look at it in Twistor space the possibilities all emerge as lines from a point in a n-dimensional space. When you look all the possibilities emerging from a point they form a unitary circle around the point. If you think of 2 dimensions the possibilities naturally fill out the 360 degrees around the point. Therefore all the possibilities fit in this 360 degrees and a particle doesn’t exist on 2 lines at the same time, a particle is a line. It emerges as a property of the geometry of Twistor space that unitarity is a derived. It just is that from any point all that can happen is all the lines out and the sum of the lines is all the possibilities. Thus the unitary principle is derived from the geometry of the space. These may not seem like big deals to you but for physicists these are deep and hard problems to explain. The idea that our idea of space and our idea of time emerges from a new theory is critical and has been known for some time because our space and time are not fundamental we have discovered. They can be bent, expanded, compressed, disappear or stop so they are not fundamental. Sorry if that is alarming but the experiments clearly show this. It is apparent from the previous experimental evidence presented that space and time are not really very solid concepts to base reality on. In Twistor space we calculate the space and time values for an intersection of lines like we would compute velocity by dividing distance covered by time. Velocity is a concept not a real property of things and it is relative depending on who is viewing it. In a similar way space and time are computed and not a real property of things. It depends on the intersection of lines in Twistor space (interactions of particles). They could compute so that what we see as “non-local” is perfectly okay in Twistor space. Things appear where they do to our eyes or measurement devices because that’s where the calculations of the mapping from Twistor space makes them appear and when. Space and time are not really very solid concepts to base reality on. Dr Nima Arkani-Hamed says: “The notion of space-time itself is breaking down” because as you try to probe to smaller and smaller dimensions we run into logical contradictions. One way to think about this is to think of the problem we have imagining “quantum fuzz.” In the quantum world we are taught that things are in all places at once and that things are indeterminate. Only when we make a measurement do we see particles at places with specific locations and times, values. We always wonder how the universe looks when it is in the “fuzz” state. A quantum microscope actually shows what quantum fuzz for a hydrogen atom looks like. The measurements are the fundamental thing that we perceive as reality. Basically the universe is “invisible” most of the time and only when we “look” does it decide to “decohere” and look like it has a place and existence. This fuzziness leads to all kinds of conceptual problems that bedevil physicists. For nearly 100 years since we first discovered the reality of quantum mechanics we have struggled to understand how nature pulls off the trick of “cohering” when we decide to look. There are no less than a dozen distinct theories with no proof for any of them what happens in decoherence and it is called the measurement problem. Basically the measurement problem is that we don’t understand why measurement causes the world to change, how long it takes to change and what happens before it changes or after. By definition we cannot see what is happening in the quantum fuzz because by trying to see what is happening we trigger the measurement problem and the world decoheres and essentially laughs at us and says: “Ha, here I am. I’m really here not in all those other places.” Yet when we aren’t looking the world seems to progress as if it was in superposition of many many possible places (remember lines in Twistor space). This perplexing puzzle has boggled all physicists since the original experiments confounded us and we are no less confounded today nearly 100 years later. If you think of TWISTOR space particles (Spinors) go from point to point in TWISTOR space where lines intersect. Between the intersections one interpretation is there is no reality. It’s not that things are in a fuzzy state. Consciousness is a consequence of lines crossing in Twistor space. Lines in Twistor space cross. When they do an interaction happens and “reality” happens in our Minkowski space. We only can perceive the interactions when the lines cross. We can compute what happens at each intersection point using a combination of Twistor physics and regular quantum physics but if space is discrete which seems likely then maybe nothing exists between the intersections. It’s simply a computation of one intersection to all intersections possible from that point. Two particles could interact which are in vastly different location in X,Y,Z space or the result of the next place you see a point could map to many different non-local positions in X,Y,Z,T space. Twistor space therefore doesn’t have a notion of locality like Minkoski space. That is critical to explain some really puzzling things in the quantum explanation of the universe. Penrose points out one of the simplest non-locality problems or conundrums is simply a single particle. In our quantum understanding a particle can appear in anyplace with a probability. That’s cool. We can all sort of imagine that. However, quantum mechanics also says that the particle “disappears” from all other possible places it could be. This information that the particle has appeared HERE and not HERE has to be transmitted throughout all of space instantaneously because a particle NEVER can appear to pop out in multiple places. So, this is pretty basically the simplest way to understand how F’d up physics is. We don’t understand how particles can do what they do. We have this fundamental conundrum that when a particle decoheres it has to perform a seemingly impossible task of disappearing simultaneously from all possible places it could have appeared just a moment ago. This fundamental oxymoron of physics is the purest simplest way to understand how the non-locality is so fundamental a problem. All the other non-local quantum properties are similar in nature. Two particles or three particles can be entangled and when they suddenly appear as a result of an interaction simultaneously no matter if the particles are separated by billions of miles their state becomes fixed and immutable and all other possible states are eliminated all over the universe instantly. Scientists have measured the speed at which this “cancelling” other possibilities is transmitted and it is at least 1,000,000 times faster than the speed of light. Complicating this is Bell’s theorem which puts constraints on non-locality making it impossible for their to be hidden connection between the particles we don’t know about. Every way we look at it the physics seems to be conspiring to make Minkoswki space locality not exist. Physicists have been brought to the point of virtual insanity it seems finally suggesting that we need a theory of reality where there is no locality where locality emerges! This is contrary to our 3 dimensional Minkowski idea of space time. Locality is simply the idea that things must take place close to each other in the X,Y,Z dimensions to effect each other. Physicists needed a theory which abandoned X,Y,Z but this is hard to do, harder than simply living with the conundrums of quantum physics so they punted on it for 100 years! In Twistor theory individual particles are called Twistors and they are independent from each other and their separation is constrained by gravity. Waves of gravity shake the grid of Twistors and cause interactions as well as bend the Twistors into shapes like Einsteins general relativity predicts. Discrete Twistor space encompasses gravity, quantum mechanics and general relativity the holy grail of physics that Einstein himself sought. In a sense Roger Penrose is Einsteins natural successor in the quest for understanding the ultimate reality that Einstein sought. He has possibly accomplished what Einstein never had the math to do. When we look at smaller and smaller portions of space we have to use higher and higher energy beams to explore. This seems contradictory but the fact is that it is the smaller particles that are the more energetic. E = 1/λ (wavelength) so as the wavelength shrinks the energy of the particle increases. At some point the space-time becomes so energetic that it creates a black hole and by physics definition it becomes impossible to see. Does that mean that at the planck length space becomes discrete? Maybe. It makes sense. String theory says that strings are composed of energy that vibrates. These strings are on the order of the size of the planck length which is considered the smallest possible length. It doesn’t make sense for space to go smaller than the planck length along several lines of reasoning it becomes nonsensical to talk about lengths smaller than that. As I’ve pointed out before numerous aspects of a number of theories produce infinite results when you assume that space is continuous. We get around this by subtracting out the infinities and that works because the infinities are the result possibly of continuous math including the infinitely small which doesn’t exist. There are other ways of concluding that space can’t be continuous. Is time continuous? If everything else in the universe isn’t continuous it seems extremely unlikely time is continuous. We have struggled with the concept of time. How would we know if time stopped or if moments of time were spaced inconsistently? From the planck constant we can compute the time it takes at the speed of light to cross one planck distance. This is considered the planck time and the minimum time likely. It is 10^-40 seconds. If true then there is a lot potentially going on that we haven’t probed yet. We have only ever looked at events of around 10^-16 seconds. If 10^-40 is the minimum time interval then 10^24 time periods pass between each of the smallest times we have ever observed. That’s a lot of time between the smallest times we have ever seen. It would be hard to distinguish this time from continuous time. For similar reasons to space it is logically inconsistent with numerous aspects of physics if time were continuous therefore it is likely time is quantized and the only contender is the planck time. One wonders what nature is doing with all the time between what we consider the smallest amount of time we’ve ever observed. It could do a lot of stuff. So, this represents interesting question that I have no idea if anybody has really probed. 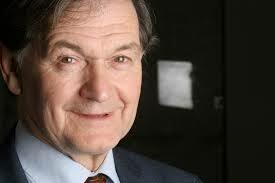 It is only today that people are taking seriously Roger Penrose’s idea that Twistors and Spinors could really be the underlying reality of our universe. We live in a Twistor universe that appears to us because of our macro senses as a Minkowski universe (3-dimensional + time). Presumably if our senses were confronted constantly with macro twistor geometry manifestations we would see twistor space but since for macro level things the best approximation is Minkowski space our brain gives us the impression we live in a 3 dimensional world with a separate time dimension. We know our brain interprets reality, sometimes filling in details. There are many examples of this. Here is a simple example I find amazing: here. There are many such examples including the Escher drawings where the brain interprets things. There is a lot of pre-processing and much of what we ultimately feel from our senses is processed information that is made to appear consistent so we can operate in the world. Presumably if we immersed ourselves in a twistor universe from birth where twistor space phenomenon happened regularly (10^-10 cm) we would perceive twistor space. Our brain would probably find a way to enable us to see twistor space as reality but we are too big and very few things we interact with demonstrate twistor space oddities so our brain pops a visualization which is how it interprets the universe which we call the Minkowski style universe. It’s a nice linear universe with time that moves nice and smoothly forward and space looks continuous. We know these things are NOT true in the real world. In a twistor universe there are 5 dimensions, 2 of which are complex like the spin example above. Time and x,y,z are not dimensions like we think of them. They are mapped as ratios of each other into complex numbers. Time and spatial dimensions are part of ratios in a Twistor space mixed up with each other. It’s not trivial to imagine how this is like our reality but it is a valid mapping and whether it exists in reality or not it is mathematically more consistent with our universe than Minkowski space. 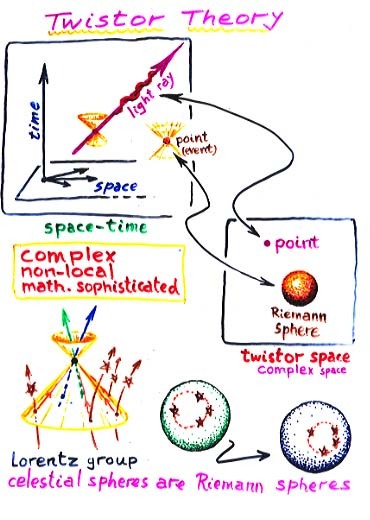 Here are some mappings from Space-time Minkowski space to Twistor space. From what physicists can see today it is much simpler to think of physical laws and all the peculiarities we see in quantum mechanics, trying to solve problems with quantum gravity, string theory, calculating things in quantum mechanics, unification of all physics and everything when it is done in twistor space. Some of the laws of physics like Maxwell’s equations become as simple as Newtons laws of motion. Problems with non-locality and wave-function collapse disappear as problems. Roger has uncovered the real universe. Twistor theory is a translation of conventional space and time into a new set of dimensions. Essentially you can map Minkoski space time (3 physical dimensions and a time dimension) to a 2×2 dimensional Twistor space. I say 2×2 because the twistor space is 2 dimensions with 2 complex dimensions. What is a complex dimension? It is not really complex. It is a regular dimension but it is simply that the laws of physics of particles in those dimensions operates as if the complex dimension really exists and operates as if complex numbers really existed. The easiest way to think of these complex dimensions are the spinning of particles in different directions. This is the best analogy I can think of. Using twistor concepts, theorists have now shown how all the dimensions of ordinary space—and even time—can pop out. Many theorists find it quite natural that spacetime would be derivative. Andrew Hodges of Oxford points out that we do not perceive spacetime directly; we infer that events happen in specific locations at specific times from the information that comes to us. “This idea of points of spacetime as being primary objects is artificial,” he says. Indeed, the concept of distinct positions and times breaks down because of the gravitational warping of spacetime and the notoriously spooky connections between quantum particles.